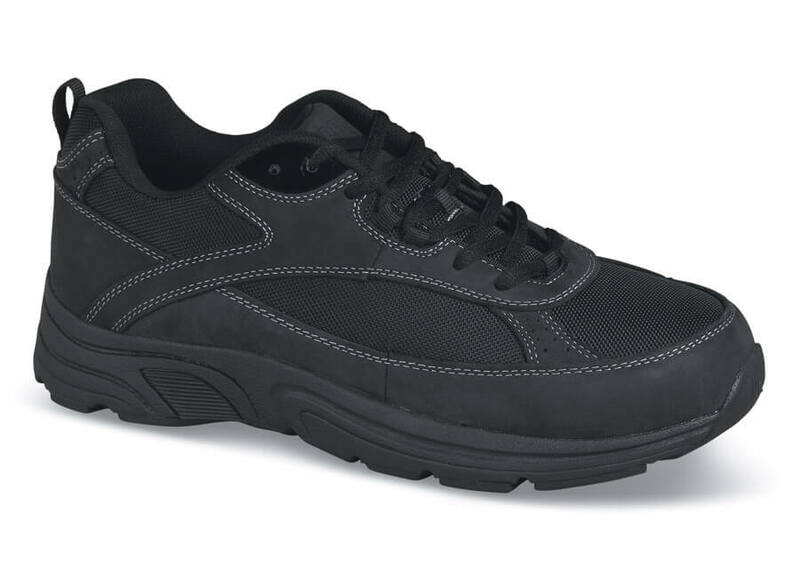 Drew’s terrific “Aaron” athletic mesh casual is now offered in black. 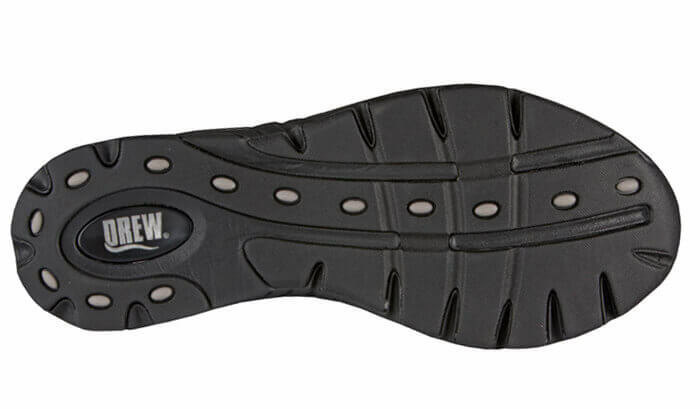 The leather and nylon uppers feature double added depth with dual removable footbeds, foam-padded tongue and collar, firm heel counters and lightweight flared rubber outsoles. Linings are absorbent, odor controlling Dri-Lex®. Men’s sizes 7–13, 14 and 15 in 4E and 6E.